Not exactly the words a personal trainer wants to hear from a client. “None of my clothes fit. Literally, none of them fit and I have to wear a dress to a party tomorrow!” Now I was really starting to get worried. My mind raced to figure out what I did wrong and what mistakes I made that led Emma to gain body-fat. “I mean our training is working well. But I’m going to have to buy an entirely new wardrobe because I’m literally swimming in all of my clothes,” said Emma gesturing towards her mid-section. It was then that I realized Emma was telling me that she no longer fit her clothes because she had lost so much abdominal fat since we started training. I breathed a sigh of relief and cracked a smile. “You’re welcome,” I said. 12 weeks prior to my conversation with Emma, I began coaching her. We did 2 lifting sessions per week and after a short break-in period, we started lifting heavy. 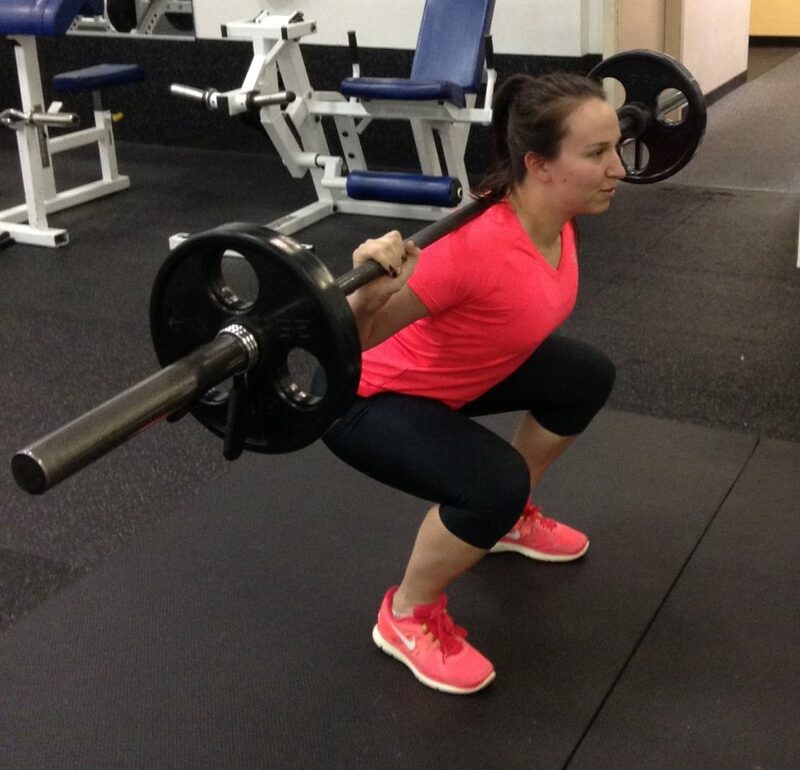 Lifting heavy caused Emma’s metabolism to rise above normal levels. She began building lean muscle, enabling her body to burn more calories at rest. Her elevated metabolism was enough to cause her body to utilize some of her abdominal fat for fuel. She ended up losing so much body-fat she dropped a few dress sizes. I’ve never worn a dress (except for that one time in college…), but I’m told by my wife dropping a dress size is a big deal. All too often I hear from females, “wont lifting weights make me bulky?” This is a real catch 22. Women are avoiding heavy lifting out of fear of the body it will produce; when in actuality, heavy lifting is just the ticket to give them the lean, toned body they want. Shouldn’t she be doing cardio? No. Not for fat loss at least. Spending hours on the elliptical every week is totally unnecessary when it comes to fat loss (even if the elliptical has a special weight-loss setting). If you are passionate about running, cycling, Zumba or whatever, keep it up! I have nothing against cardio. In fact, cardiovascular exercise is phenomenal for improving and maintaining heart health. But when it comes to weight loss, caloric-deficit and weight lifting are your go-to. Which exercises are best for fat loss? Start of with 3 sets of 5 reps of each exercise. It is crucial that you start with a light weight and seek to make progress. You don’t need to jump to a heavy weight right away. Slowly build up to a challenging weight for you. Thanks for the reminder to lift!!! I’m glad the reminder was helpful, Karla! I miss working with you too!